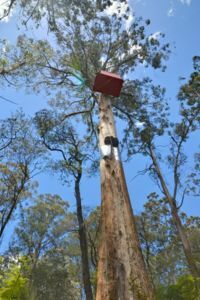 The Little Red Toolangi Treehouse is a treehouse erected in Toolangi State Forest as a protest against the ongoing logging of native forest in the region sanctioned by the Victorian state government. 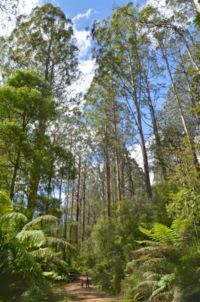 The tree house is located off the Sylvia Creek road close to the Silvia Creek forest. This page was last modified 07:11, 11 January 2014. This page has been accessed 11,517 times.